Derek is a dedicated archer who spends much of his free time on the range. 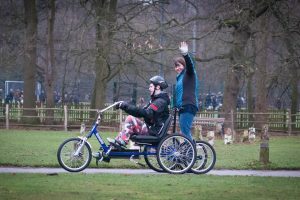 He didn’t want his new wheelchair to get in the way of his training regime. Fortunately, Remap Berkshire were on hand to help. 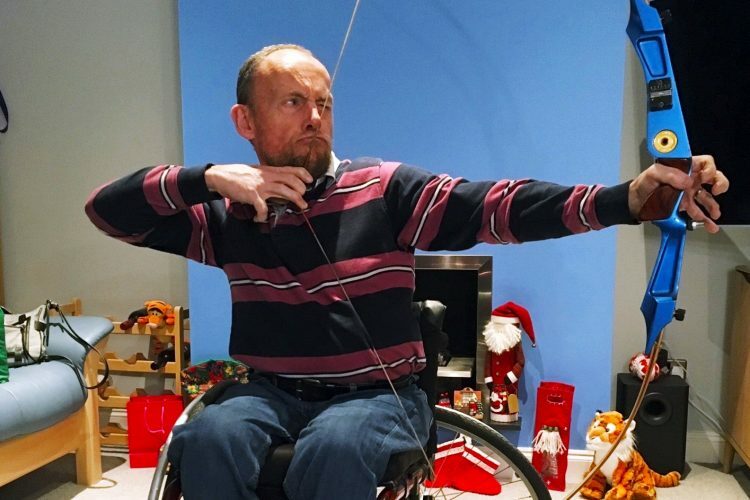 If Derek were to shoot from a conventional wheelchair, the large back wheels would get in the way of the bowstring. His old chair had a special jack that allowed him to remove the wheels safely. When the time came for his chair to be replaced, Derek found that his new chair wasn’t compatible with his jack. The wheels couldn’t be taken off without danger, were getting in the way of his bow, and were seriously hampering his aim. To solve the problem, Remap Berkshire invented a special metal clamp which makes the old jack fit the new chair. 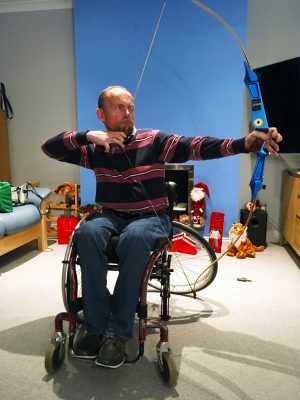 Derek can then slightly raise one side of his wheelchair and remove the wheel safely, allowing him to shoot unimpeded. Derek is now back on the range and training hard for his next competition. 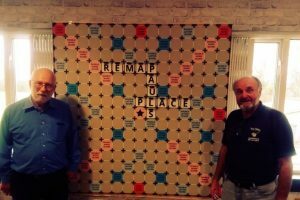 Thanks Remap Berkshire!